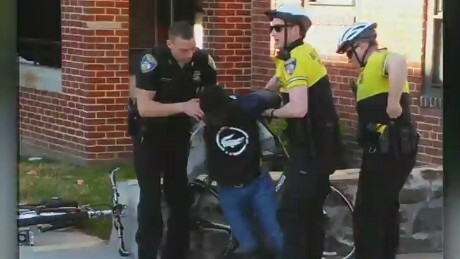 BALTIMORE (Talk Media News) – The acquittal of the only Baltimore police officer charged with murder in the death of Freddie Gray represents a major blow to prosecutors and dims their chances of winning convictions against other officers charged in Gray’s death, legal observers say. Officer Caesar Goodson Jr., 46, drove the police van that transported Gray, 25, after his arrest in April 2015. Prosecutors had claimed Goodson gave Gray a “rough ride”– driving recklessly and causing the shackled suspect, who was not secured with seatbelts, to be thrown about the van’s steel cage violently, causing his fatal injuries. The rough ride theory had been a key element of the prosecution’s case against the six officers, legal analysts who have closely followed the case noted. Warren S. Alperstein, a veteran Baltimore defense attorney who has represented numerous police officers but is not involved in the Gray case, said prosecutors failed to make their case against Goodson. None the three officers tried thus far in Gray’s arrest and death — of six charged — has been convicted. A gag order imposed by Williams forbids the state’s attorney’s office and defense attorneys for the officers to discuss the case with anyone outside their own legal teams. The death of Gray, who was black, led to mass rioting, vandalism, arson and looting across the majority black city of about 620,000, prompting Republican Gov. Larry Hogan to call in the Maryland National Guard and Democratic Mayor Stephanie Rawlings-Blake to impose a citywide curfew. Critics called police abuse of blacks rampant here, and Gray became a high-profile symbol of the Black Lives Matter movement against police brutality. “We share this family’s enormous frustration with the pursuit of justice in these cases,” Murphy said. Outside the courthouse, Cornell W. Brooks, president and CEO of the National Association for the Advancement of Colored People, expressed disappointment with the verdict. On Thursday, the office of Hogan, the first-term Republican governor, warned that he would again declare a state of emergency and that the Maryland National Guard would respond quickly to any violence or vandalism. Rawlings-Blake, who was forced to abandon her plans to seek re-election in the Democratic mayoral primary in late April over her response to last year’s riots, pleaded for a peaceful response to the latest verdict. “We once again ask the citizens to be patient and to allow the entire process to come to a conclusion… I know that the citizens of Baltimore will continue to respect the judicial process and the ruling of the court,” Rawlings-Blake said. U.S. Rep. Elijah Cummings, D-Md., also called for calm. “I know that many of our neighbors will be disappointed and frustrated by today’s verdict, and I understand those emotions,” Cummings said. Williams also acquitted Goodson of three counts of manslaughter and one count each of second-degree assault, reckless endangerment and misconduct in office. Goodson, who is black, had faced the most serious charges among the six officers accused in Gray’s death. Williams found Officer Edward Nero not guilty of all counts last month. The trial of Officer William G. Porter ended in a hung jury in December, and prosecutors have said he will be retried. Three other officers are to be tried in July, September and October. TMN intern Joshua Ramirez contributed to this report. This story first appeared on Talk Media News.